Victoria Azarenka in Press Conference with Redfoo from LMFAO who gives his opinion at the end. Roger Federer was so moved during his speech after winning his 20th Grand Slam title at the Australian Open. 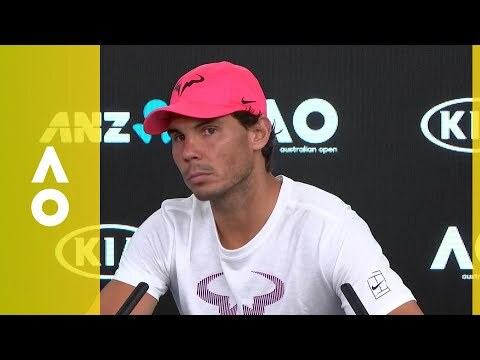 Rafael Nadal press conference after his retirement against Marin Cilic in quarters of this 2018 Australian Open. Federer: "Hopefully I'll can take my revenge against Anderson after he beat me in Wimbledon." Roger Federer: "Hopefully I'll can take my revenge against Anderson after he beat me in Wimbledon."